The Equipment Management module from Grand Avenue Software helps manage the calibration, maintenance and qualification activities for your equipment. Figure 1: Completing a Calibration Record in the Equipment Management module. 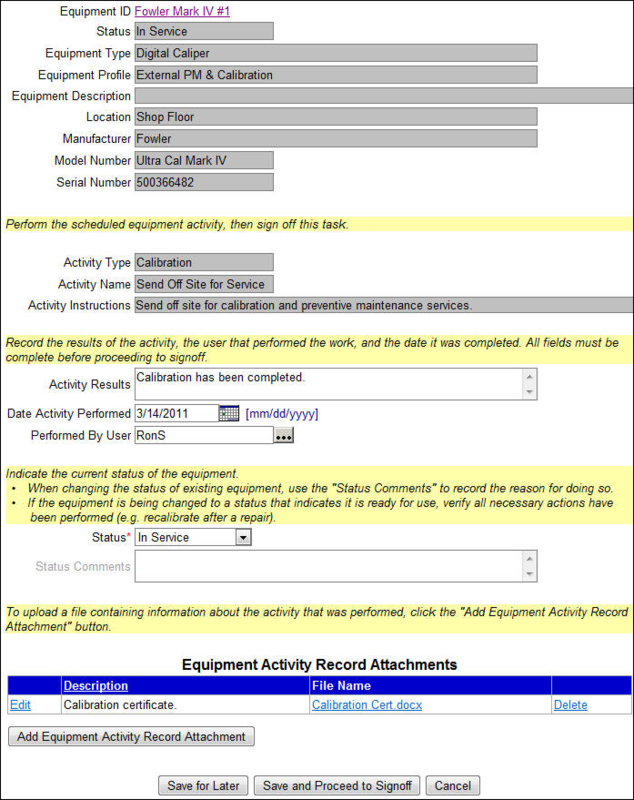 Figure 1 shows a screen capture within the Equipment Management module. On this screen, a user is completing a scheduled equipment activity that they had been assigned to perform. This specific example is for an external calibration, and the user is recording the fact that the calibration has been completed. The calibration certificate from the external calibration vendor has been uploaded as an attachment to the record.